Ford India has officially not confirmed any launch date of EcoSport in India however TopGear reports that the Compact SUV will be launched in India on 04th March 2013 in New Delhi. As per the sources, the carmaker was patiently waiting for the budget to be announced and now when the budget is already announced couple of minutes back, Ford India is getting ready for the launch. 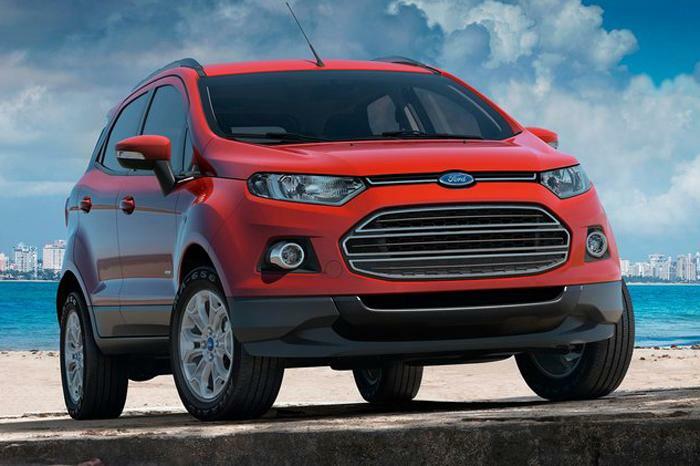 As far the patiently waiting of the Budget by Ford India, it turned out to be in its favour. The Finance Minister has increased the excise duty on SUV's from earlier 27% to now 30%. This indicates that excise duty increase will be only for cars which are bigger than 4 metres. The cars less than 4 metres had an excise duty of 12%. Since, Ford EcoSport is categorised in less than 4 metres mark, it would retain the excise duty of 12% and thereby no negative news for Ford India. However, if this is to be looked from another angle, Renault India which had launched Duster SUV on 04th July 2012 seems to be the major competitor of Ford in India will be negatively affected as the excise duty hike would bring a hike in price of Renault Duster.